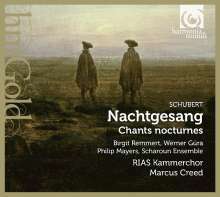 Der Artikel Franz Schubert (1797-1828): Chorwerke wurde in den Warenkorb gelegt. 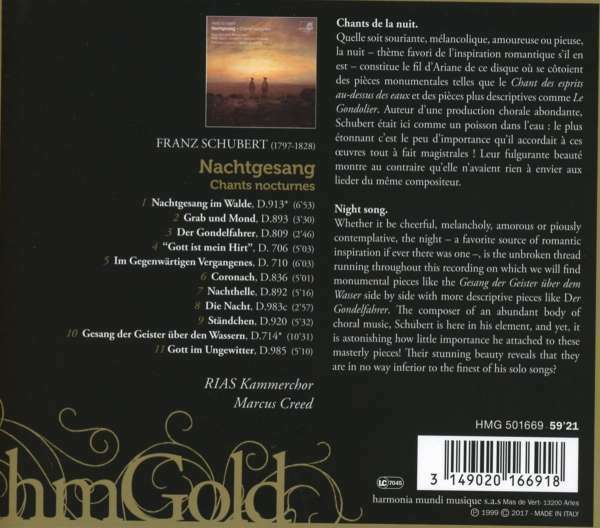 Whether it be cheerful, melancholy, amorous or piously contemplative, the night - a favorite source of romantic inspiration if ever there was one - is the unbroken thread running throughout this recording on which we will find monumental pieces like the Gesang der Geister uber dem Wasser side by side with more descriptive pieces like Der Gondelfahrer. 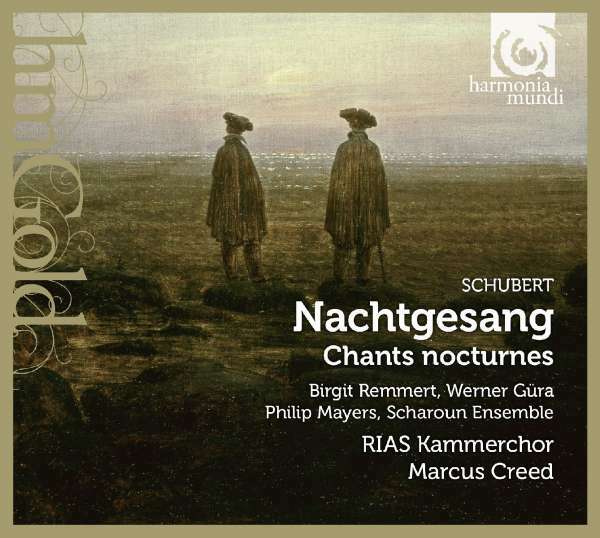 The composer of an abundant body of chorale music, Schubert is here in his element, and yet, it is astonishing how little importance he attached to these masterly pieces! Their stunning beauty reveals that they are in no way inferior to the finest of his solo songs. Philip Mayers plays a fortepiano by Johann Fritz, Vienna, 1825. M. Mezger in Scala 5 / 99: "Die besten von Schuberts Chor- sätzen - einige davon sind hier versammelt - gehören auf den Gipfel der Gattung. Entschlackt von Pathos und Patina treffen die Interpreten den originalen Geist der Romantik. Diese Scheibe ist ein Genuß und eine würdige Fortsetzung von Creeds hochkarätigen Brahms-Aufnahmen."